Edited by Robert Bud, Paul Greenhalgh, Frank James and Morag Shiach. Addressing the breadth of cultural forms in Britain and the western world from the architecture of Le Corbusier to working class British science fiction, Being Modern paints a rich picture. Seventeen distinguished contributors from a range of fields including the cultural study of science and technology, art and architecture, English culture and literature examine the issues involved. 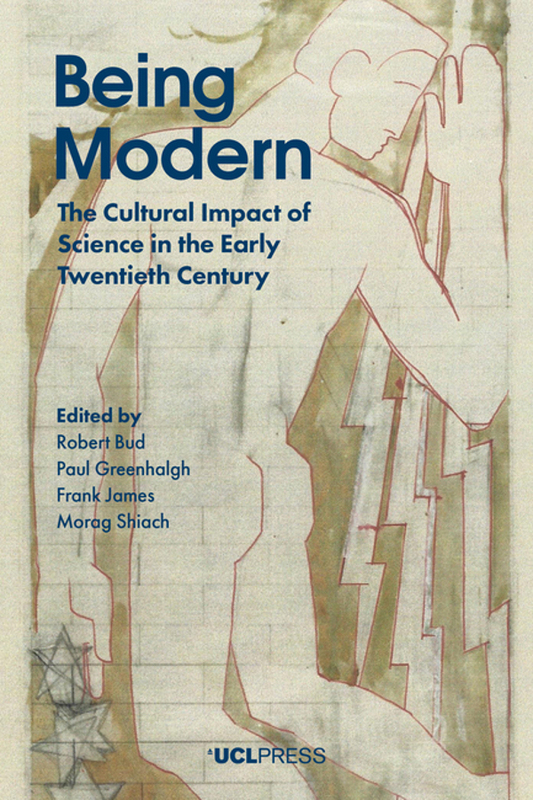 The book will be a valuable resource for students, and a spur to scholars to further examination of culture as an interconnected web of which science was a critical part, and to supersede such tired formulations as ‘Science and culture’. Robert Bud is Research Keeper at the Science Museum in London. His award-winning publications in the history of science include studies of biotechnology and scientific instruments. Paul Greenhalgh is Director of the Sainsbury Centre at the University of East Anglia, and Professor of Art History there. He has published extensively in the history of art, design, and the decorative arts in the early modern period. Frank James is Professor of History of Science at the Royal Institution and University College London. His research formerly centred on Faraday, but now focuses on Davy. Morag Shiach is Professor of Cultural History at Queen Mary University of London. She has published extensively on the cultural history of modernism and on modernism and labour.